Drunk driving is a dangerous crime that has caused hundreds of thousands of serious injuries and deaths over the last several decades. It is a somewhat unique offense in that it is sometimes committed by those who view themselves as average, law-abiding citizens who made a temporary lapse in judgment. For a long time, our legislature and courts held the same view, as reflected in light penalties for convictions. But times are changing. Laws are becoming more stringent. Drunk driving accident victims often have many options when it comes to pursuing justice and compensation for the harm inflicted by impaired motorists. While we know that drunk driving is illegal and dangerous, lets look at what it means to cause a drunk driving accident. In our legal system, the four elements of negligence are duty, breach, causation and damages. Duty refers to the duty of care to act as a reasonable and prudent person so as to prevent a foreseeable injury to foreseeable persons and property. A breach of this duty is failing to act in this reasonable and prudent manner, and that breach must cause damages to the plaintiff. This seems simple enough, but what happens if a person is drunk driving, which is breaching one’s duty of due care, but it is not that breach that causes damages. A man goes to a local bar and drinks to the point of intoxication. He then decides that he is sober enough to drive home. While driving home, he is playing with his car radio and doesn’t see that he is about to run a red traffic signal. At this point, he drives through the red traffic signal and T-bones a car that was legally traveling through the intersection. The driver of the car he hit was seriously injured and files a Boston drunk driving accident lawsuit. In this lawsuit the plaintiff alleges that defendant was negligent by driving drunk and hit him. If this is the only claim in the complaint, there might be a problem. The first question is whether he defendant owed a duty of due care to plaintiff. This question was answered when he decided to drive in the Commonwealth. All drivers have such a duty imposed pursuant to Chapter 90 of the Massachusetts General Laws (MGL). The question was whether he breached that duty of due care by driving drunk. According to Chapter 24 of Section 90 of the MGL, it is a crime to drive a car while intoxicated. Under our laws, if a person breaks a law and that action resulted in the harm the law was intended to prevent, this would be sufficient to establish what is known as negligence per se. Under the concept of negligence per se, if a person breaks a law that will be enough to establish negligence, but damages must still be established. However, Massachusetts changed this concept a bit to make it a requirement that the harm the law was intended to prevent be involved in the tortious action. For example, if a person was driving with an expired registration and was involved in a car accident, the fact that the driver had an expired registration would not make it a negligence per se case, be cause the registration statute was not put in place to prevent individual car accidents. Continuing with our example, the question is whether the fact that defendant was drunk was the reason for the car accident. It could be argued that it even if had not been drinking, if he took his eyes off the road to play with the radio, the accident would have happened anyway. This may not be a problem if plaintiff also argued that defendant was negligent for taking his eyes off the road to play with the radio. It is perfectly acceptable to argue multiple theories of negligence, but you generally can’t argue a theory to the jury that has not been pled earlier. The reason for this is because the defense has a right to notice of all claims and an opportunity to prepare to defend them at trial. If they were “ambushed” at trial, they could argue that this was a violation of the Rules of Civil Procedure and could probably get the claims dismissed. You might be wondering why it matters whether a plaintiff could prove one theory of negligence or another, but it if there was a dram shop action as well, it would be very important. Pursuant to Section 85T of Chapter 231 of the Massachusetts General Laws (MGL), if a bar knowingly serves and intoxicated person and that person drives and causes a car accident, the bar owners could be held liable. This is important because in a serious drunk driving accident, the plaintiff could suffer damages that exceed the maximum level of insurance coverage carried by defendant. The bar owners on the other hand likely have far more assets and insurance limits than the average driver. However, if the car accident was not due to the drunk driving, but was due to another cause, the defendant bar owner would have a strong defense against the dram shop liability cause of action. It could be argued that it was the drunk driving that caused the driver to act in an irresponsible manner and that is why he was playing with the radio instead of concentrating on the road. This argument could work, but it would be a much harder argument to make than many other claims in Boston car accidents and drunk driving accident lawsuits. One way to prove the claim would be too show the jury a significant amount of information about how alcohol interferes with the ability to multitask. This is important because driving is considered a divided attention activity that requires a person to engage in more than one task at the same time. If a person cannot do this, then they cannot safely drive a motor vehicle. 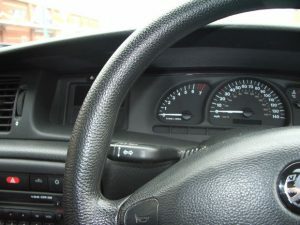 Some of these tasks are mental and some are physical such as looking at objects ahead of the vehicle, judging distances, deciding where to go, and manipulating hand and foot controls.